The last challenge was so much fun, we decided to start another one. 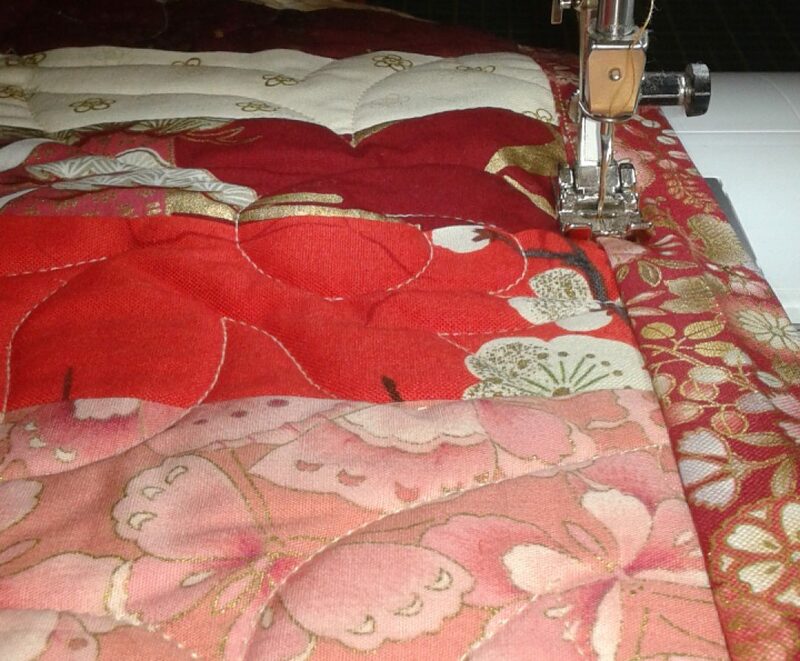 This is another quilting challenge, but with much more creative license. The challenge is to create a quilt that portrays the four elements (earth, water, air, fire). After some brainstorming, I remembered my extensive collection of Asian fabric panels. This could be a great opportunity to use several of them, with some framing, and maybe a piano key border. The quilting on each panel could be reflective of the element represented.